Ryo Kase as Hiroshi in "Restless." Ryo Kase at the photocall of "The Sky crawlers" during the 65th Venice International Film Festival. 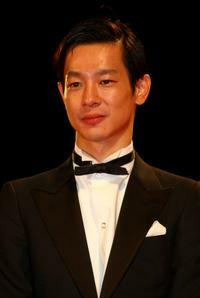 Ryo Kase at the premiere of "The Sky crawlers" during the 65th Venice International Film Festival. Rinko Kikuchi and Ryo Kase at the screening of "The Sky crawlers" during the 65th Venice International Film Festival. Ryo Kase, Rinko Kikuchi and director Mamoru Oshii at the photocall of "The Sky crawlers" during the 65th Venice International Film Festival. Ryo Kase, Rinko Kikuchi and director Mamoru Oshii at the premiere of "The Sky crawlers" during the 65th Venice International Film Festival. Director Yee Chih-yen, Mavis Fan and Ryo Kase at the press conference to promote "About Love." Rie Miyazawa, Kenki Saegusa and Ryo Kase at the 20th Tokyo International Film Festival (TIFF). Mavis Fan and Ryo Kase at the press conference of "About Love." 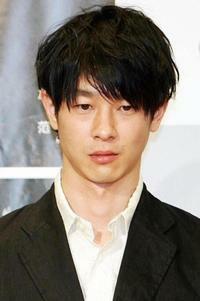 Ryo Kase at the press conference of "About Love."